Continue reading "The Pack take a trip to Co. Durham"
Snow Queen! 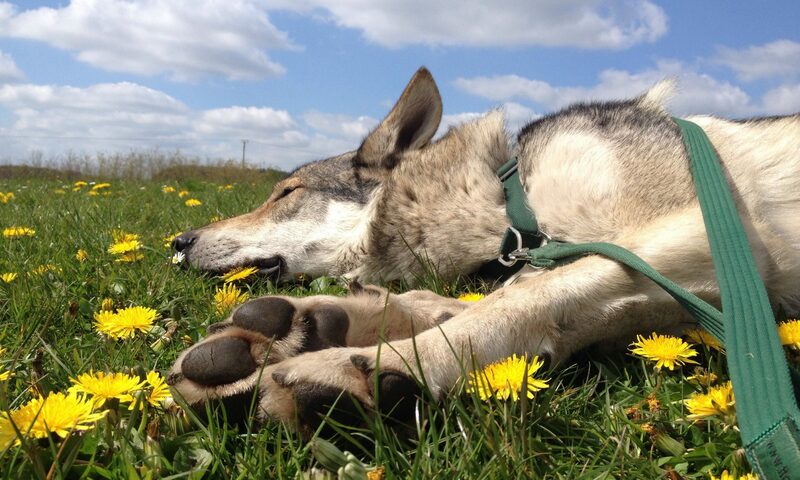 Wolfdogs don't really seem to feel the cold, they are perfectly toasty with their thick winter coats. Tuchena will quite happily lie down outside in freezing conditions, when the Labradors are on their beds next to the wood burner. Tuchena giving her toothiest grin whilst flying through the air with Hartley.